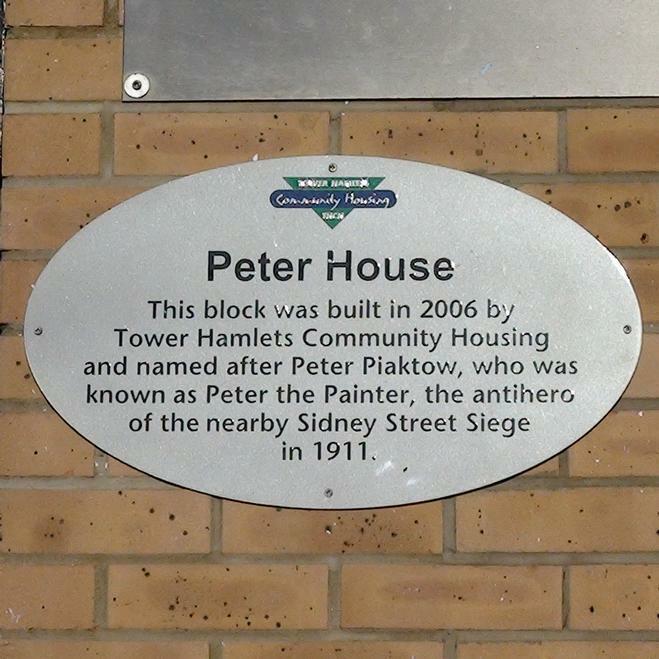 This block was built in 2006 by Tower Hamlets Community Housing and named after Peter Piaktow, who was known as Peter the Painter, the antihero of the nearby Sidney Street Siege. Not everyone was happy that Hackney named a block of flats after this anarchist. L.C.C. Joseph Chamberlain (1836 - 1914) lived here.